If you’re looking for a great spot to drop a fishing line near Sherwood, some of the best fishing Wilsonville, OR sportsmen and women enjoy can be found right here. Check out some of our favorite spots to go fishing around Wilsonville with the team at Wilsonville Jeep RAM, your source for an impressive selection of new vehicles. Fishing Wilsonville, OR can be done right in your own neighborhood at Canby Pond, located just a few minutes southeast of town. This community park offers trout fishing in fall, winter, and spring, as well as year-round largemouth bass, bluegill, and crappie. If you’re looking for outstanding bank fishing within 30 minutes of Wilsonville, it’s hard to go around with the Clackamas River at Carver Park, where you’ll be able to drop a line and find salmon, fin-clipped trout, and steelhead. Looking for a scenic boat dock where you can sit with fellow anglers and enjoy a day on the river? The Cedaroak Boat Ramp gives you great access to upstream river water, where you’ll regularly see folks catch anything from crappie, bluegill and perch to salmon, bass, and steelhead. Expect great trout fishing in early spring as well as outstanding Warmater fishing throughout most of the year, including a great stock of crappie, bluegill, largemouth bass, and bullhead. Wilsonville Jeep RAM is Your Guide to Salem and the Surrounding Areas! 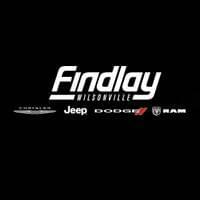 Find more fun outdoor activities around Tualatin and Sherwood with the team of Oregonians at Wilsonville Jeep RAM. And if you’re looking for a new car to take out on your adventures, then value your trade and apply for financing online! Our doors are open seven days a week, and you can reach us at (503) 498-6637.